I welcome whole-hearted the 6th. edition of the International Festival of Ecology Films – ECOFEST – “For the health of the Earth”, which will be held between October 10 – 13, 2016, in Bucharest! 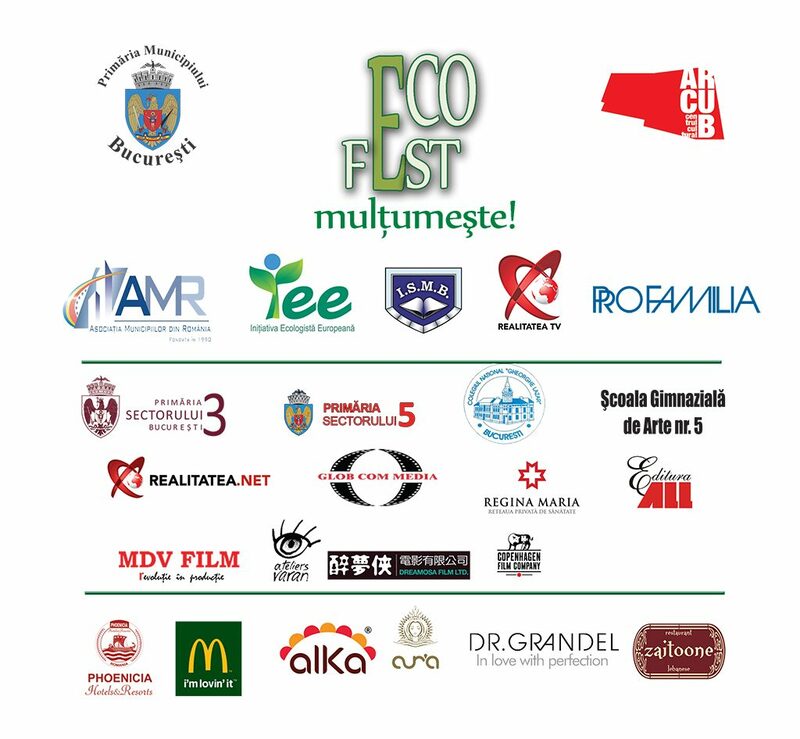 I am delighted that, in this edition, the City Hall of Bucharest is a partner of ECO FEST! I have been all my life, a nature- loving person. A walk in the fresh air, in a place full of greenery and flowers relaxes and immediately refreshes me. I teach my kids to go out as much as possible to play and walk in a park. From my point of view, the residents of Bucharest suffer from the lack of green space, many complained about living far from a park and failing to walk their children anywhere else than among blocks. One of my goals as Mayor is to arrange new green areas and playgrounds. But also to clean and fix the existing ones, with works right in action this month, in the parks belonging to the Municipality. 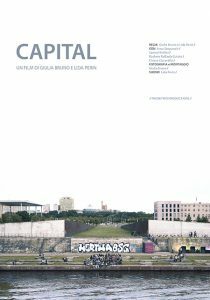 Now, for each resident of Bucharest, are assigned 23.21 square meters of green space, although the norm imposed by the European Union is 26 square meters per capita. I have the ambition to reach and even exceed this standard because it is very important for our health every extra meter of green space! On the other hand, our children need to learn from small age the habit to keep a clean nature, to care and to respect it, because, generation after generation, to be able to enjoy it! Bucharest has enough environmental issues, which I want to solve during my mandate: it’s dirty and polluted, but there are solutions. I will continue to work for the achievement of a waste – neutralization and treatment plant, that will valorize the waste coming from all- across Bucharest. I congratulate the ECOFEST organizers, a salutary event, which will show us, once again, that a green city is a healthy one! May Bucharest start breathing more and more! 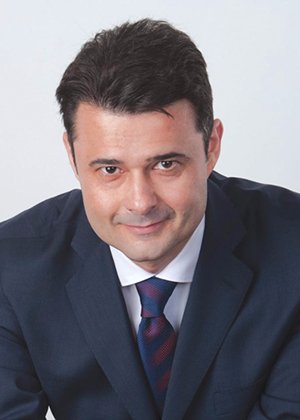 The European Ecology Initiative Association of Romania is one of the most active collaborators of the Association of Municipalities of Romania. We were partners last year and supported the Ecology Films Festival “Eco Fest” and we are are glad that we can give them our support this year also. We wish them to organize many editions of this festival. What did you do for the environment? The bad news about the environment are becoming more and more frequent. Forests are increasingly rare. Pollution of waters turns male fish into females. The seasons are upside down. Abuse of alcohol and drugs kill fewer people than air pollution. 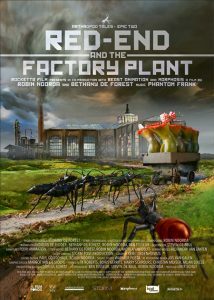 Industrial giants pay only 5 euros to emit one ton of carbon dioxide in the atmosphere. Pollution is so cheap, but no one can say how much is the cost of one single life. We can not go on! We have to stop, each of us, children, adults, politicians, journalists, managers, filmmakers, engineers, workers, no matter what we do. Let us pause and ask simply what I’ve done for the environment? Then ask what they did, the others. Each of us can make a difference and together, united, we can achieve a lot of changes. 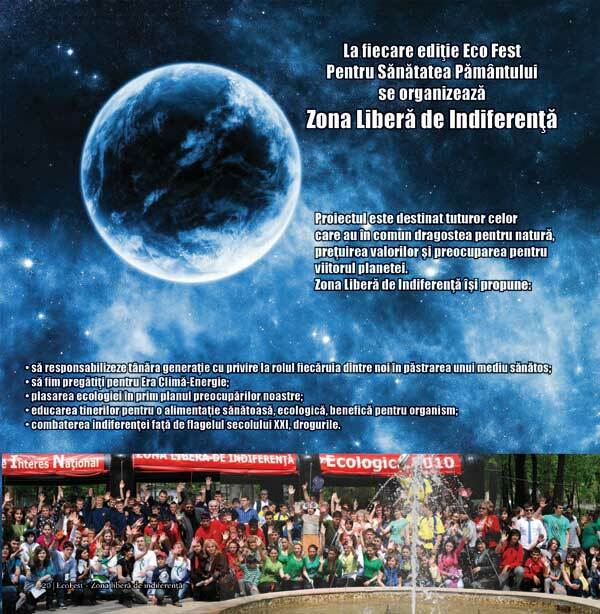 By means of creation, Eco Fest makes environmental education, convinced that everything is generated by information. Information, education and creation are a winning trio. The ecology films are raising awareness and education, and in this edition we have launched the challenge for students to become directors of their own environmental films. We welcome them to our world, of those loving the environment! Nature is the perfect creation, that man is unable to equal, however much progress in science and technology might achieve . We are so small before the greatness of nature and yet we bring about so much harm. Why? Perhaps because we thought that nature is infinitely renewable. We see that it’s not and still we do not stop . Perhaps we need to learn about how we damage the environment, to open our eyes and minds. A wonder managing to simultaneously do these things is the film. I believe in the mission success of ecology films in educating the younger generation, and therefore the City Hall of Sector 5 – Bucharest will support the Ecology Films Festival “Eco Fest – For the health of the Earth” starting this year. I wish to grow several generations of children with concern for the environment and love for nature! Before the summer holidays, more than 70 schools in Bucharest, with 1500 students and over 200 teachers marked the Indifference-Free Zone, caring for nature, for the environment. The attention the children and their teachers have given to ecology, a so sensitive topic and, equally as important in the education of the young generation, was a real excitement for the Bucharest School Inspectorate . Therefore, I express my joy to be again among the organizers of the International Festival of Ecology Films . Such events, combining education and culture in a way that is not only original and enjoyable, but also extremely effective, deserves all our support. I wish success to all Eco Fest participants, and for children, I have a special message: Love Nature! It will never let you down! 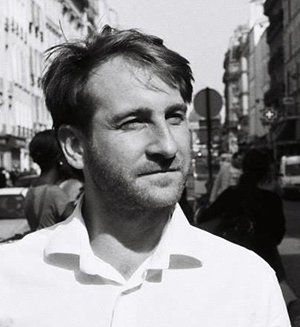 Benoit Felici is a French-Italian filmmaker. His film Unfinished Italy has been selected in numerous international film festivals (Clermont-Ferrand Film Festival, Documenta Madrid, DOK.FEST München, Premiers Plans d’Angers, Festival International Film d’Environnement- FIFE, Paris). 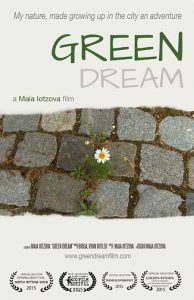 The film was awarded at ECOFEST – 2013, Braila-Romania. In 2013 he received the Lagardère’s Foundation Excellence Grant for a documentary film today in production, coproduced by ARTE France and Artline Films. He also works as a video artist creating multimedia installations together with the Italian sculptor Paolo Delle Monache. (Non finito-infinito, Fragments, Caleidoscopi). 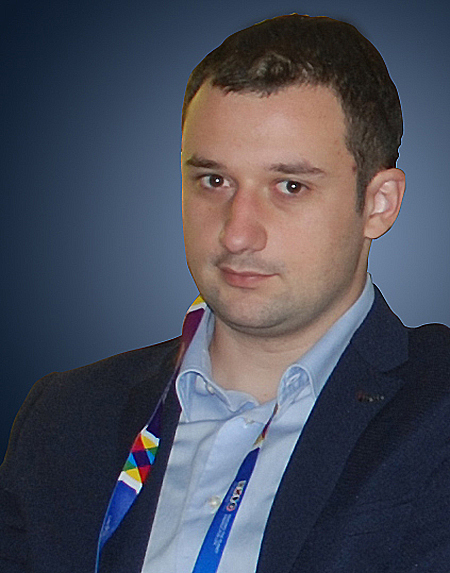 Vladimir Kajlovic was born in 1977. in Zrenjanin, Serbia. 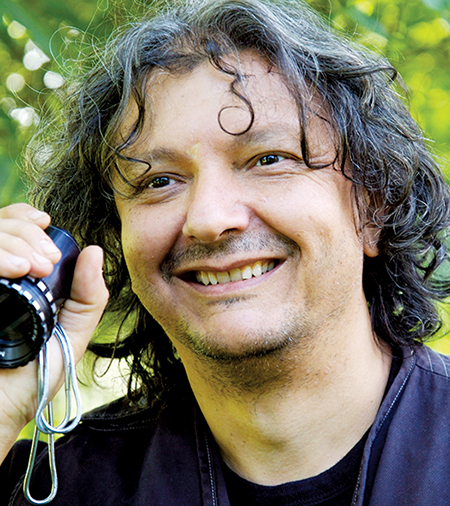 He graduated from the Faculty of Dramatic Arts in Belgrade- compartment Film and TV director. Working in several production studios in Belgrade. Worked also as director, producer, author of the show ’OPUS 96,1’ – classical music and jazz. Hosted various prominent artists from different fields of action. Started edition ’Yu Rock Legends’ for a publishing house and works as part-time assistant for the production house Digital Style from Zrenjanin; Co-author of the several films. Director of the music video „Hymn of clean river“ under the patronage of Norweigan Ministry of Foreign Affairs for European Convention of the Ministers of Ecology and Environmental Protection. 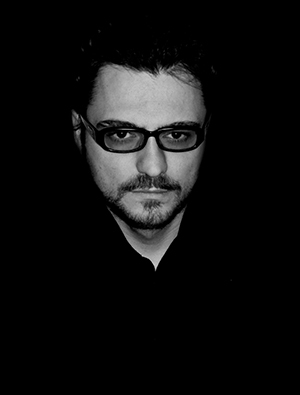 Co-operator of the Guitar Art Festival and director of the Zrenjanin branch of this festival: Guitar Art Laureats. 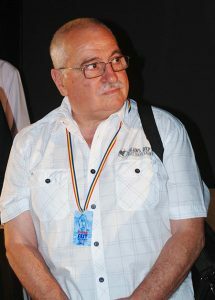 Since 2010 works as the executive producer of the International Documentary Film Festival Beldocs. Founder and Director PanArt film production company, for culture and documentary film. 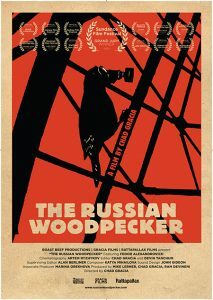 He has made more than 20 documentary films, his films have occupied an important place in many national and European festivals …. 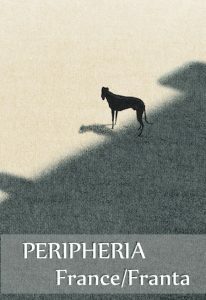 Born in 1955 in Acquaviva Collecroce,Italy. Joint Swiss and Italian citizenhip. 1974-1978 Attends the HFF (Hochschule fur Film und Fernsehen), Munich. Since 1988 collaborates with Insert Film. In 1994 he attends screenwriting seminar by Frank Daniel in Denmark. 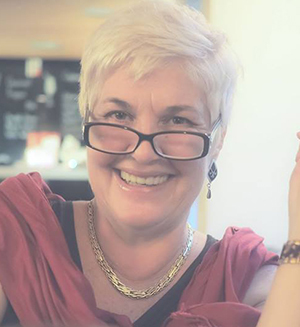 Since 1996 works in media education at schools and universities. Since 1996 he is active member of The Magic Lantern, Solothurn. 2004-2005 Head of film case studies at ETH (Swiss Federal Institute of Technology), Zurich. His filmography consists of more than 15 short and feature films. His newest feature, Shana – the Wolf’s Music, was presented all over the world at more than 15 film festivals and was awarded in Canada, USA, Greece, Italy, Austria, Switzerland, Czech Republic, Belgium. It was also awarded with the GRAND PRIX and the award for Best Direction at the 5th.edition of DREAM FEST – 2015, Bucharest – Romania. 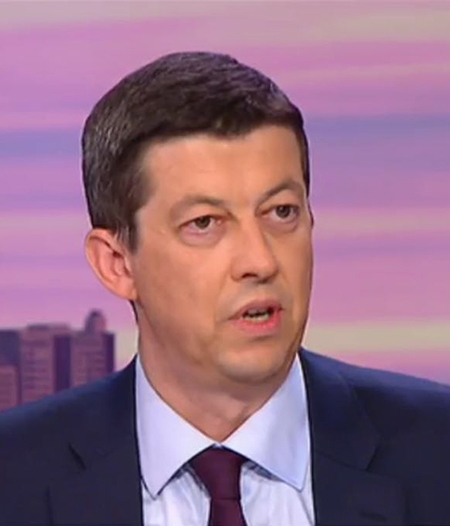 Francois Lafond is President of Blue Networks and Opportunities think tank, senior member of the Institute of European Democrats (Brussels) and associate professor in Sciences Po Paris (Euro-American campus). Previously, he was the executive director of EuropaNova (2013-2016), secretary general of the French Aspen Institute (2012-13), and director of the Paris office of The German Marshall Fund of the US (2008-2011). Before, François Lafond was a special adviser of the Italian Minister for Regional Affairs (2007-8), of the Italian undersecretary of State for Foreign Affairs (2006-7) in Rome. Former deputy director of Policy Network in London (2003-6), researcher of the think tank Notre Europe with Jacques Delors in Paris (1999-2003), research associate at the European University Institute’s Robert Schuman Centre in Florence (1995-9). He is also currently member of the agenda working group Halifax International Security Forum (Washington), International consultant for Navigator Shipping Consultants Ltd (Athens), editorial member of the Italian think tank Volta (Milan), and a regular collaborator of European media (France 24, Challenges, Rai3 Mondo) and has a column in France Forum on European affairs. He has been honoured “Ufficiale dell’ordine della Stella d’Italia” in September 2014. Graduated at Tiffin University – Ohio, USA in International management. 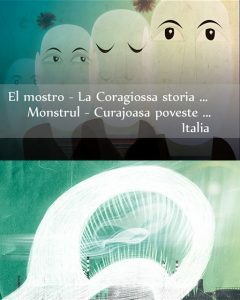 Wrote articles and critics aboutmovies for blog and news-websites. (2012-2014). Involved in film making of short films, adverts and coverage videos. Managing and providing subtitles and dubbing services for international cable and satellite television networks. 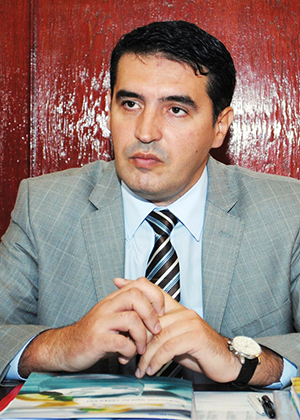 Vice president at Pal20, a company that provides distribution of TV and Cinema legal rights for the territory of Macedonia and Bulgaria. Production assistant in afeature film“working title: Golden Five”. I was born in Užice, 1963, where I finished Primary and Secondary School. I graduated from Belgrade University,The Faculty of Political Sciences, Department of Journalism. Since 1993. godine, I have been working in Radio Televison of Serbia, current affairs programme.From 2000 – 2014. 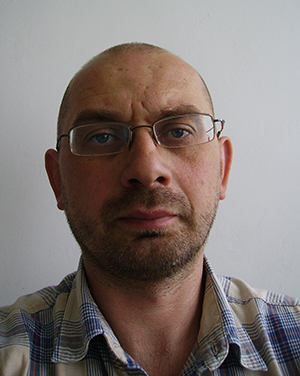 I was an editor correspondent in the Užice bureau of Radio Television of Serbia. 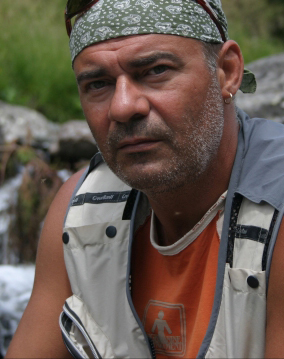 Dan Mihai Pavaloiu (born in 1966 in Cluj-Napoca), is a television presenter, journalist and TV author, known for his travel reports and TV programs made for the Romanian Television (TVR) , addressing to all nature lovers, the best known being *Nature and Adventure* series, broadcasted on TVR 2. 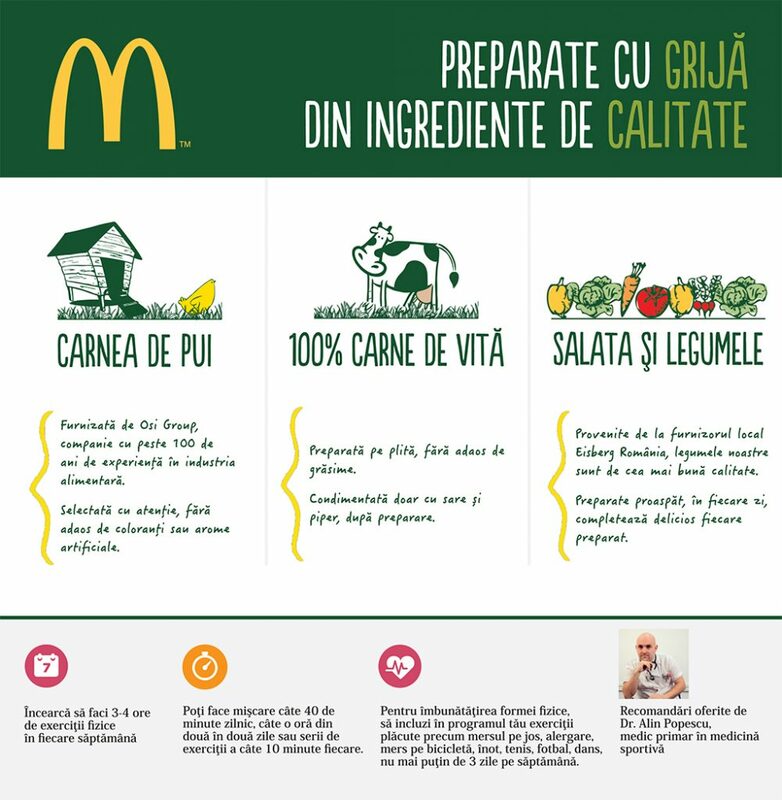 He also presents a series of programs dedicated to Romanian culinary traditions under the title * With pan-to-back* broadcasted on TVR 3 and TVR Cluj. 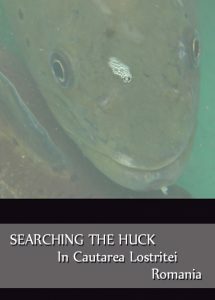 Over the time, he dedicated his profession and available leisure time, to promote wildlife protection in Romania, being actively involved in public campaigns to rescue Romania’s natural heritage. His many reports are covering geographical areas stretching from the peaks of the Carpathians to the Black Sea. By their sheer size and original shapes, baobabs are among the most remarkable trees on the planet. Relatively unknown in Madagascar, these giants are currently threatened by deforestation. To study them, in the heart of their forests, Cyrille Cornu and Wilfried Ramahafaly travel by pirogue, exploring 400 km of wild and isolated coastline in the southwest of Madagascar. 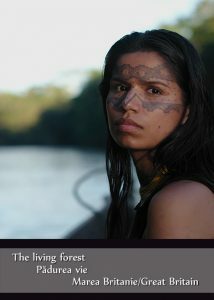 The film chronicles the expedition. 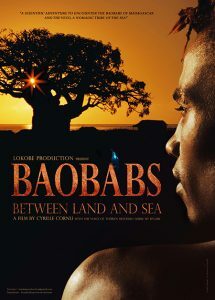 It reveals discoveries, encounters and scientific results of the two explorers, baobabs and landscapes that had mostly never been filmed or even photographed. What do we really know about water? Its background noise is a constant companion of our daily lives. We end up so accustomed to it, that it becomes invisible. 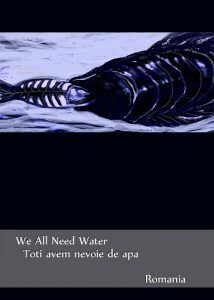 Yet, some people work with water, with how we drink, what we drink, with the way water runs in our cities. Who are they? And what economics are concealed behind water? 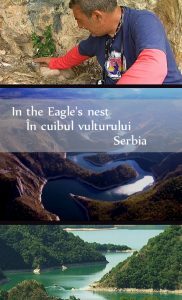 The programme is about the life of peasant farmers and white-headed eagles in the canyon of Uvac, in West Serbia: it is about the way how, in the past twenty years, while the villagers kept moving to towns and cities in the pursuit of better life, this rare kind of eagles, that was on the verge of extinction, managed to survive and multiply thanks to both extraordinary care and action of the Special Conservation Area. There is an increasing number of nests these„kings of sky“are building today, and owing to them and to stunning beauty of the whole region, the number of tourists and Nature-lovers has been growing– a completelly new story is beginning in villages –i.e. villlage tourism– in which white-headed eagles as well as their Conservation Area have the most significant role in sustainable development . 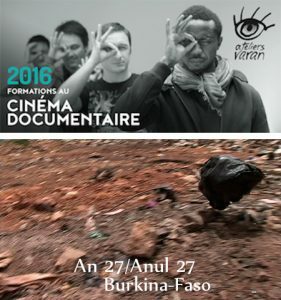 A short- film made in the frame of Ateliers Varan- film school, on environmental problems in Burkina Faso, where plastic bags attract children to the dumps and garbage cans … just a way of fight against poverty. 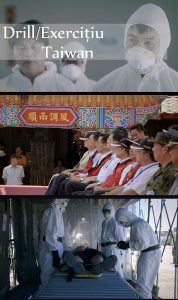 Instead of focusing on the subject of nuclear disasters, this film is centered on how people view and deal with these tragic events. Experts in the related areas answer many questions and advise what actions to take in the hours, days, months, or even decades after a nuclear disaster. The film’s matter for discussion is every aspect of what life could become of in the aftermath. But, what exactly IS a perfect fallout drill? Are the scenarios we prepare for anywhere close to the real deal? These all come from one crucial question: What is a nuclear disaster? Perhaps, while facts known are being examined, so are the unknown. He looks just like any other street hawker at Singapore’s Sungei Road Flea Market– seated under a shelter, with goods and wares displayed out in the open. But Mr Koh Ah Koon, 75, is no ordinary person there. 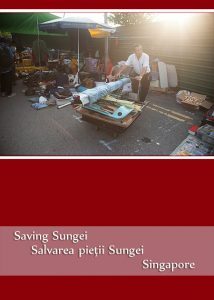 He is the chairman of the Association for the Recycling of Second Hand Goods. Set up in 2012, the association aims to provide street hawkers at Sungei Road with a unified voice to reach out to the authorities as Singapore’s oldest street market is slated to be closed before 2017. Follow Mr Koh as he shares about his journey in saving Sungei Road and the struggles he faces to save the 70-year-old Sungei Road Flea Market. This is a highly creative short film, combining animation with sand art. 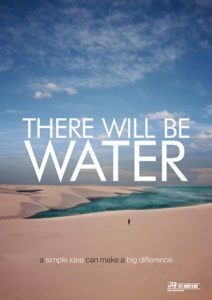 There is no life without water! Water causes the Universe to live in harmony. Each organism depends on a water supply in order to survive. All cells, tissues or organs need water to function at optimal parameters. 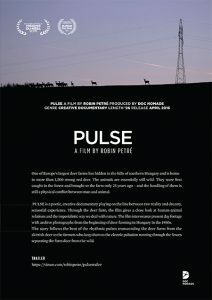 This film is a manifesto addressed to the large industries polluting the water, reducing the chances of survival for all living cells. These industries are the big fish that swallowed and contaminated the so much needed water. 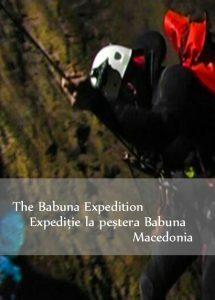 “The Babuna Expedition” follows the story of a group of speleo divers from Macedonia and Belgium, in search for new discoveries of the underground world of the cave Babuna, in central Macedonia. The passion of speleo diving and all the characteristics of this dangerous sport, along with the adventurous spirit of the group of speleologists, is going to bring great discoveries of immeasurable meaning for the environment. In the heart of the mountain range Jakupica, alongside the underground siphons and corridors, the attention is also drawn to the huge amount of unused potable water, which can supply half of the territory of Republic of Macedonia.